Starts From / Returns to Mombasa & North Coast Beach Areas – We’ll pick you up from your hotel or resort and transfer to Mombasa Airport for your morning flight. Kenya has the most stunning beaches in the world. It also has the finest game viewing. Why not enjoy them both with a flight safari package to the famous Masai Mara. Take a break from your coastal holiday and escape to the adventure of lions, leopards, cheetah and thousands of wildebeest! From your beach resort it’s a quick flight over Kenya’s scenic landscape to the premier game park of Africa. Natural World Safaris will transfer you to an area airport for your morning flight. We’ll handle all the arrangements and get you from surf to safari in a quick and easy 2-hour trip. Along your flight route you’ll have views of the Great Rift Valley and towering Mt. Kilimanjaro, the highest freestanding mountain in the world. In no time you’ll touch down in the Masai Mara where you’ll be welcomed by a representative from your host lodge. These are the folks who will lead your game drives over the next 3 days in 4 x 4 Land Cruiser Jeeps. With its broad grasslands and distinctive acacia trees dotting the plain, the Mara is an unforgettable landscape. It’s also comfortably cool – the perfect environment for game viewing. And the game here is spectacular! You’ll be looking for the Big Five wildlife, but you can’t miss the thousands of wildebeest, zebra and gazelle that sweep before you on the savannah during the Great Migration. The immense movement of animals here is electrifying and never to be forgotten. Drive over to the Mara River where the migrating animals cross. This is home to hippo and crocodile lying in wait for the hordes of vulnerable prey. Keep an eye out for hyena, jackal and small foxes. There are opportunities for startling drama here as the forces of nature converge. 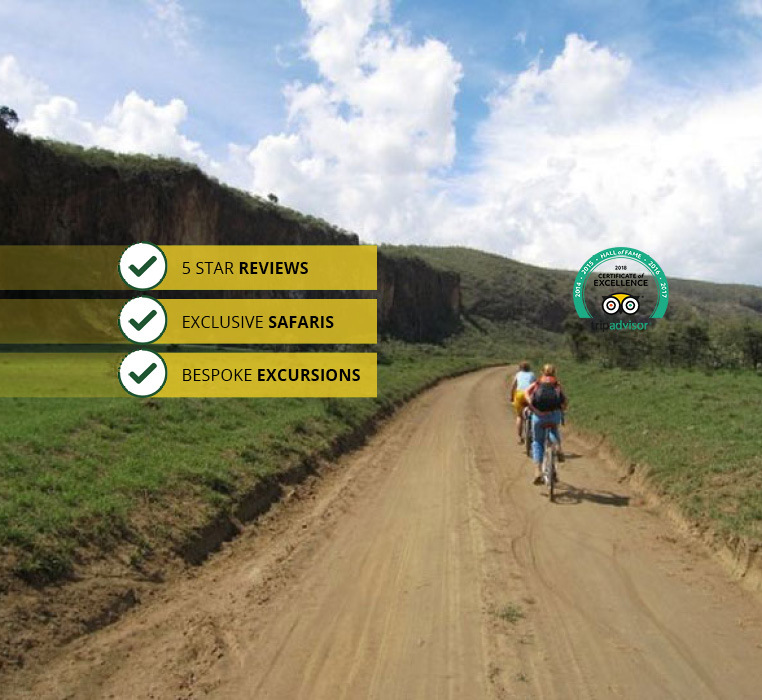 Your Masai Mara safari features 5-6 game drives and is suitable for adults, children and seniors. On day 3 there will be a pre-breakfast game drive, along with another bonus mid-morning game viewing trip. All-Inclusive. Your 3-Day air safari includes your roundtrip flights, park entrance fees, game drives, accommodations, meals and hotel/airport transfers. Natural World Safaris always offers a wide choice of accommodations. Depending on your budget and style choose from our complete list of safari lodges or tented camps. Please choose your accommodations from the selections listed below. Your Guide. For your entire 3-day trip you’ll be guided, hosted and cared for by an expert and experienced driver/guide. Mombasa hotels: 0600hrs., Bamburi resorts: 0600 hrs., Kilifi resorts: 0500 hrs., Shanzu resorts: 0600 hrs., Nyali resorts: 0600 hrs. Early pick up from your beach resort for transfer to Mombasa airport. Connect with your regular scheduled charter flight to the Masai Mara game reserve. 0730hrs- 0830hrs. Fly from the Kenya coast to Masai Mara game reserve on the regular scheduled charter flights. Enjoy panoramic views of the Mount Kilimanjaro peaks and Kenyan Landscapes during the flight. Approximately 1030hrs. Arrive at the Masai Mara game reserve airstrip. You shall be met at the airstrip for a transfer to your safari lodge or tented camp. Short introduction game viewing drive en-route. Today shall be spent at the Masai Mara game reserve with game viewing drives. Wildlife viewing drives have been scheduled for today. The Masai Mara game reserve eco-system hosts the highest concentration of wild game than any other park in the region. It’s tree studded typical African savannah layout, the cool and ideal climate together with the profusion of wildlife makes it a one stop wildlife viewing destination! Early morning game drive at the Masai Mara. Extra game viewing drive after breakfast. Later transfer to your Masai Mara airstrip. 1400hrs: Depart Masai Mara for the Kenya Coast. Met at the airport for a transfer to your Beach resort. What you could see at Masai Mara Safari..
Return Air tickets: Kenya coast / Masai Mara Game Reserve. Airport / Airstrip hotel / lodge / camp transfers. Accommodation on full board at safari lodges / tented camps. Pick up and drop off at the Masai Mara game reserve airstrips.